Cllr McNamara with his ‘new’ steed. 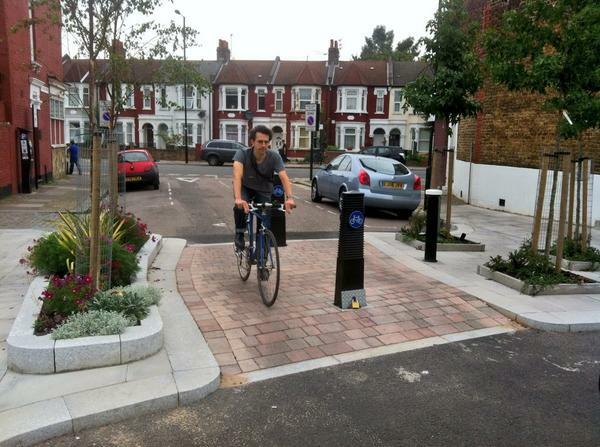 Haringey Council pool bike number 4. 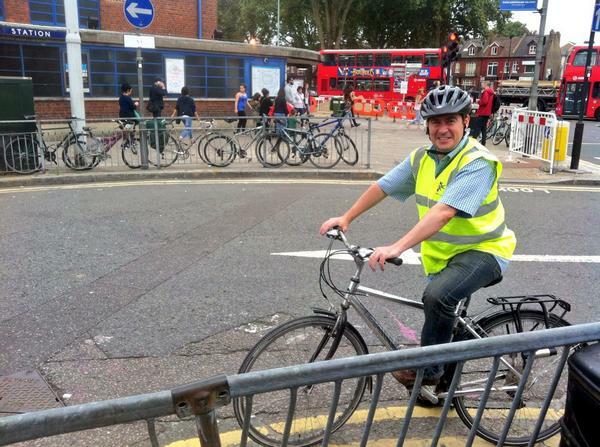 3 and a half hours pedalling around the middle third of Haringey, so useful that Cllr McNamara wants to repeat this in both the West and East of the borough in the coming months. 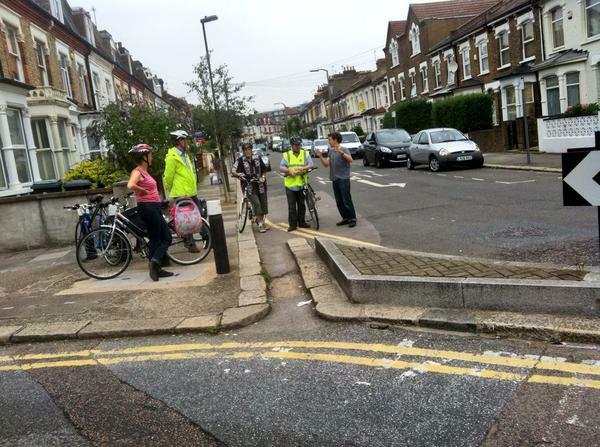 19 Wightman Road Very hostile cycling conditions, aggravated by pinch points at numerous traffic islands. Potential for reduction in car parking. Could this be on alternate sides of road to give chicane effect, with islands removed and speed tables at junctions? Possibility of parking on side roads and 45deg echelon parking at wider side roads? 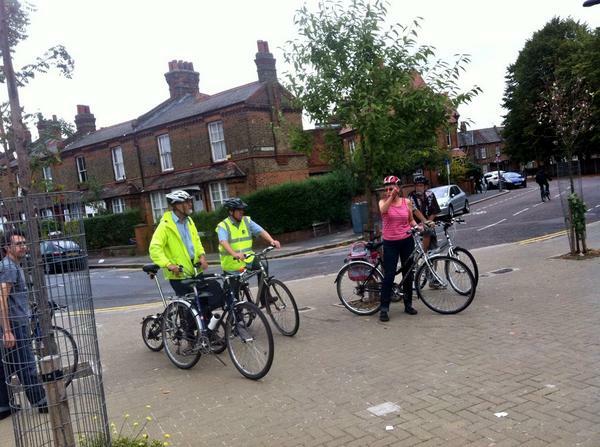 Next postPeople on bikes needed for 5 minutes on Friday!